This Talk looks to the growing need for fair co-producing practices. How can we come to a just practice of co-producing that respects aesthetics, cultures, and economies across borders? 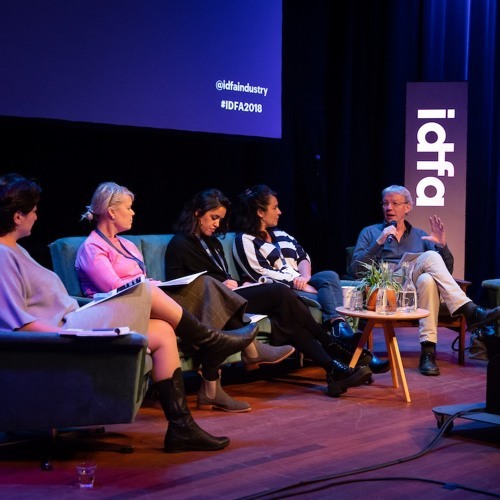 This was discussed by guests: Cecilia Lidin (Danish Film Institute), Diana El Jeiroudi (Dox Box), Estelle Robin-You (Les Films du Balibari), Gema Juárez Allen (Gema Films) and Isabel Arrate Fernandez (IDFA Bertha Fund). The session is moderated by Mikael Opstrup of the EDN and was recorded on November 17, 2018.